One of the most renowned methods of keeping the most valuable items on the grounds secure. Is by the means of a high security safe. Installed correctly and chosen well. This addition to your home could be just the security addition you need. We find it sad that many homeowners or general members of the public are unaware of this high security method. If you would like to get more information. If you are looking for help with model choice and installation. Our specialists safes are available to discuss further. Only a phone call away. Due to the many varieties of makes out there. We recommend that you get the advise of an industry professional before making your decision. Speciality tools are often required for installation as safes often need it. This is due to the prevention of using regular tools to dislodge the safe from the wall or the floor that it is mounted on. A safe is right for anyone who feel they have valuables which simply cannot be stolen. It would be a complete disaster. Many of us carry items of immense value. If not financial, then personal. Heirlooms, documentation and other valuable possessions does well with the extra protection of the safe. On top of that. In today’s world, safes and security is available and affordable to anyone. Here our expert crew can help you and hopefully astonish you with the low prices we offer. Call now to find out more and stay tuned for more important home and business security information. You can also find out more about good business security solutions such as master key lock systems and high security safes. Safes are a welcome addition and for as long as we have provided the service. It has never been a regret for our customers. There are no reasons to stay insecure when high security is available as easy as this. How can I make sure my locks and home is safe? We often get asked this question when speaking with customers and members of the community about their security. What level of security is needed in the type of climate we experience today. Truth be told. Although many are frightened that times are becoming more and more dangerous. We know that the technology and the security equipment available today is well under development. Already in stores and with professional services across the country you can get help with securing your home. To make sure that you and your family are safe. Our recommendation is to have a security inspection done. This way all locks and all entry points to the building will be checked, and so your locks will be safe. Some tips and other ways to keep your home safe is to have monitoring installed. Either via a smart system or via a security company. This way, motion sensors will always keep an eye on your house whilst your away. Should you be interested in such a solution please don’t hesitate to speak to our friendly team at any time. Giving your security and making sure your locks are safe and up to date before going away is another tip to keep. A little extra attention and care to your security features the time before going away. Can go a very long way and potentially even save you from disaster. Last, but perhaps most importantly. 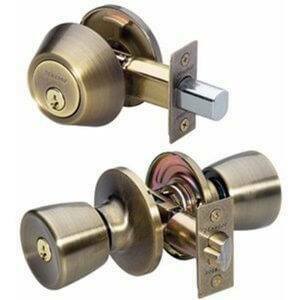 Keep aware to your security and awake to any changes that you notice in your locks. It may be a sign of decay if a lock becomes difficult to turn. Get in touch with an expert to ensure your locks are safe as soon as you can.